Most UK consumers prefer to buy products from companies powered by renewable energy over their competitors who don’t, according to a new survey. The research, by offshore wind specialists Ørsted, showed 86% of respondents believed it was worth purchasing goods made using 100% renewable energy with 73% indicating they would choose products from firms powered in part by renewable sources. The survey of 500 consumers focused on the purchase of goods from supermarkets, food and drinks firms and companies offering clothing, electronics and beauty products. The survey indicates there is a strong commercial benefit for companies that are decarbonising their energy mix through onsite renewables or green energy procurement. Notably, 60% of consumers revealed a preference for products with logos that display a green message and details of a company or product’s sustainability agenda. 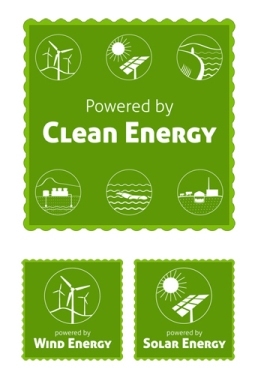 Global brewers Anheuser-Busch InBev (AB InBev), for example, have placed renewable electricity labels on any Budweiser beer that has been brewed using 100% renewable electricity. Ørsted itself has introduced new green energy initiatives as it switches its portfolio away from traditional fossil fuels towards renewable sources. It offers business customers renewable energy provision at no extra cost and has vowed to phase out the coal side of its business within five years.